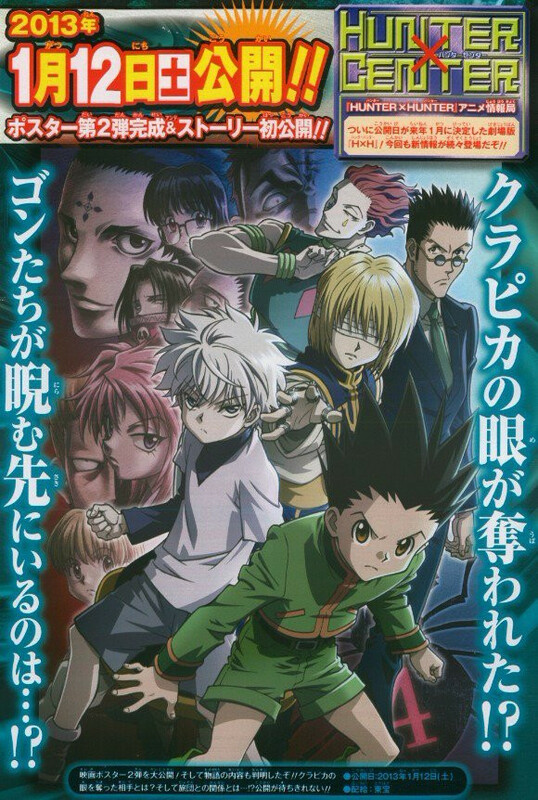 A new look and new details on 2013's "Hunter x Hunter: Phantom Rouge"
A newly published promo has paired the schedule for upcoming Japanese video releases of the Hunter x Hunter TV series with a new look at Hunter x Hunter: Phantom Rouge, Madhouse's Hunter x Hunter anime movie, scheduled for January 12, 2013 release. 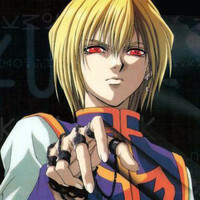 As with the latest Naruto and One Piece movies, creator Yoshihiro Togashi is involved with giving his input to a story involving the Phantom Troupe's slaughter of the Kurta Clan. 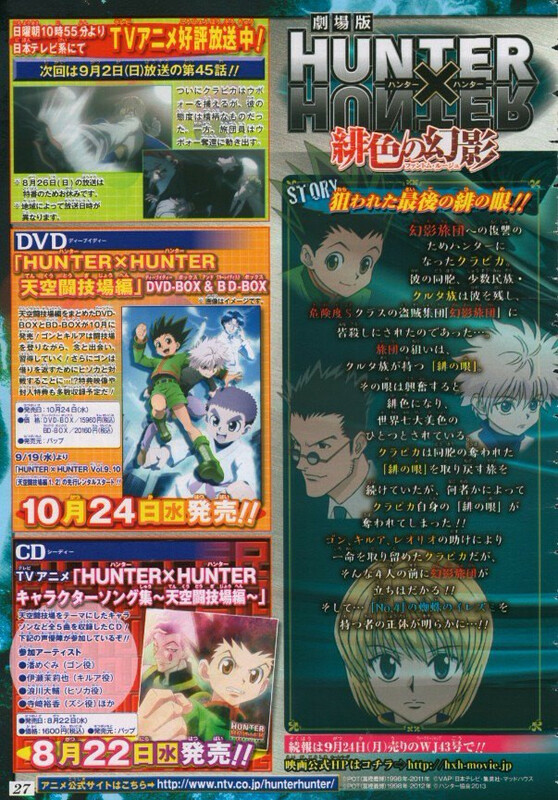 New piece confirms that Killua, Gon, and Leorio will be around for the movie and helping Kurapika. 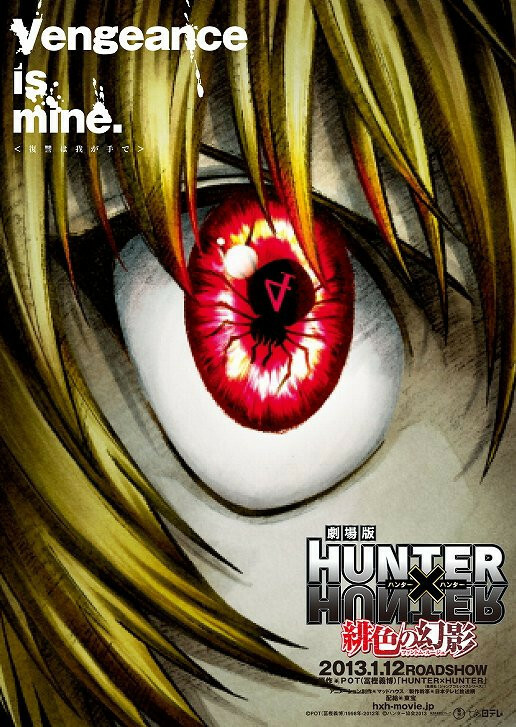 POSSIBLE SPOILERS: Kurapika survives an attack that takes his crimson eyes, prompting the heroes to track down the person with the No. 4 spider tattoo.